Today, February 26th, 2017, we lost a Bill Paxton. Paxton was a wonderful actor that brought life to otherwise forgettable characters. Everyone will remember him as Hudson from Aliens with his improvised line: "Game over, man. 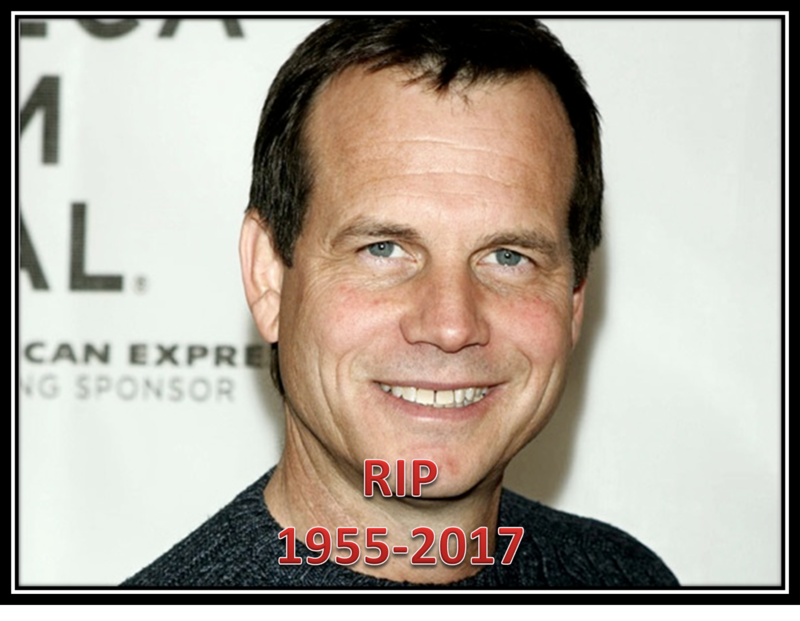 Game over"
I will remember Paxton as the man who directed the 2002 gothic horror film Frailty, in which Paxton also starred as a father who is visited by an angel and instructed to kill "demons" that appear on a list that Paxton is given. The film, while more of a drama than a straight out horror film, is not one that is easily forgettable. The acting, the cinematography, the mood are all something that Paxton worked on to get just right. He would only go on to direct one more film with 2005's The Greatest Game Ever Played, a film about golf. The mood is lighter here than it is in Frailty, but Paxton directed the film with the talent of a seasoned pro. The film gets a watch once every year or two here at the Big Movie House and it is a fun time. The first film that I remember seeing Paxton in was 1990's Predator 2, the sequel to the hit 1987 film, Predator, with Arnold Schwarzenegger. Paxton played Jerry Lambert, the smartass partner to Danny Glover's character Mike Hannigan. By this time audiences had seen Paxton in the aforementioned Aliens and his brief appearance in The Terminator, but this was the first time I was witness to Paxton's charms as well as his ability to make the most smartassed of smartass remarks. I knew from that one film that this was a guy who I needed to watch. Paxton showed up in every type of film as well as TV. He played a vampire in Near Dark, an stranded astronaut in Apollo 13, a used car salesman who poses as a spy to sleep with women in True Lies, he was Coconut Pete in the horror comedy Club Dread, and the tornado expert in Twister. He did some TV work too, appearing in Miami Vice and the miniseries Texas Rising. He also had a show on the air now in Training Day, based on the Denzel Washington film of the same name. It appears that at least six episodes were shot, with a season order of thirteen. Who knows what will happen, but I would assume that the show will be cancelled.